Put the blanket out of your mind. This is better. This past weekend was my husband’s Gran’s 85th Birthday. She is the most amazing individual. I love her and her straightforward personality to BITS. The charm is heightened by her strong German accent. She is also immensely warm and caring and treats me like one of her own grandkids. What’s not to love? 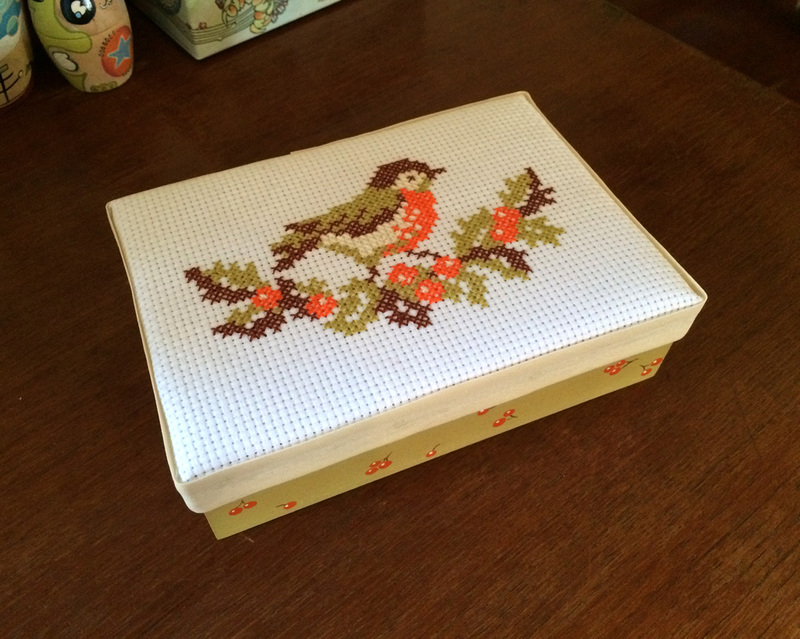 I made this box for her. 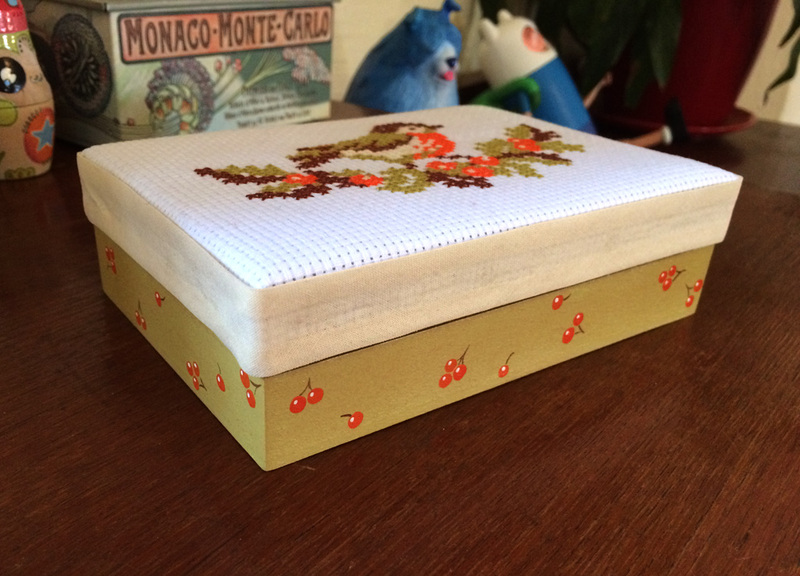 Wooden box from craft store, disassemble, acrylic poster paint, gloss spray varnish, inside lined with maroon felt, top “cushioned” with white felt, cross stitch design glued to lid sides with wood glue and clamped ’til dry, bias binding to finish edges (fabric glue used), reassemble. 14 responses to Still not The Blanket. 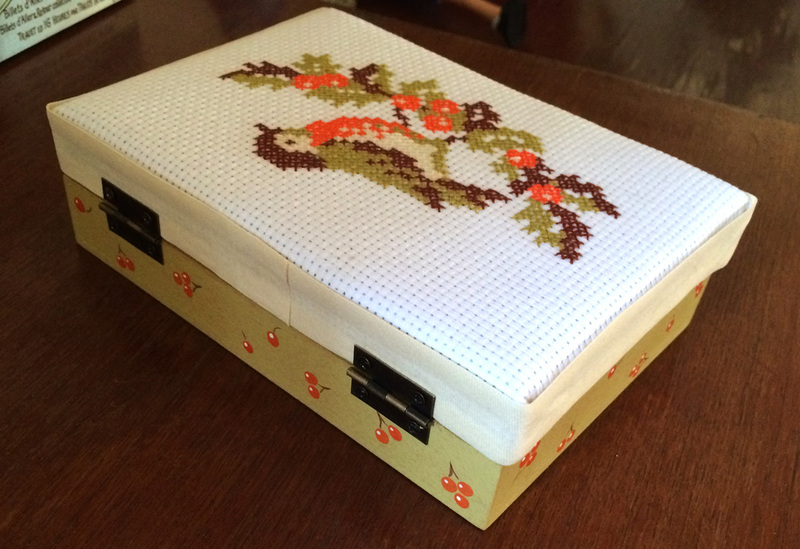 Pretty hand crafted gift with love = delightful! Well, I guess if you have to set aside my blanket, it is okay for a beautiful birthday present for Gran. NONO! I do not offend easily, and get that Gran takes precedence. Happy B day Gran! That’s so creatively done and it looks lovely. She must’ve loved it. And that was very sweet of you – in any article crafted by hand, the artist adds something from his heart and soul, and that makes it very special. Perfect gift.. u r a thoughtful person. 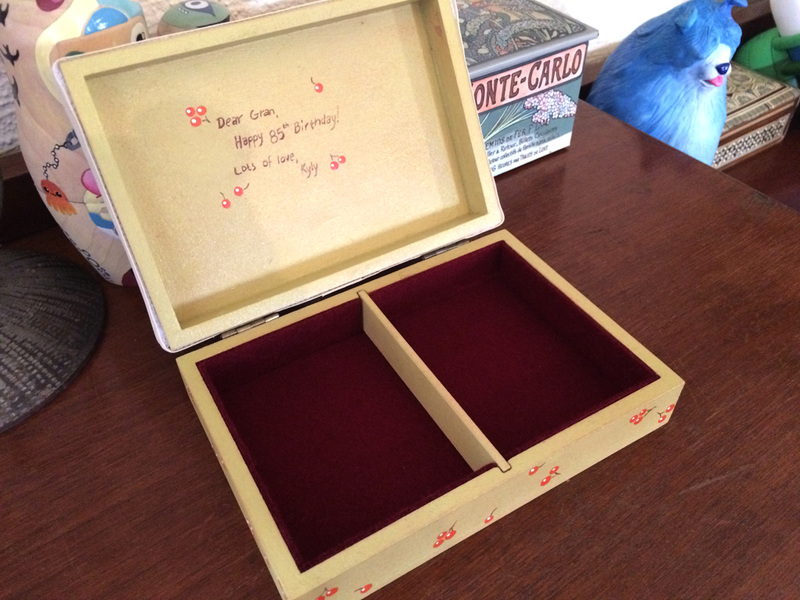 I’m sure she will love it because it was made by you and fill it with treasures that are meaningful.